Designed by Stockholm based studio Form Us With Love, the Koti sofa and ottoman are the ultimate design objects for comfortable lounging. 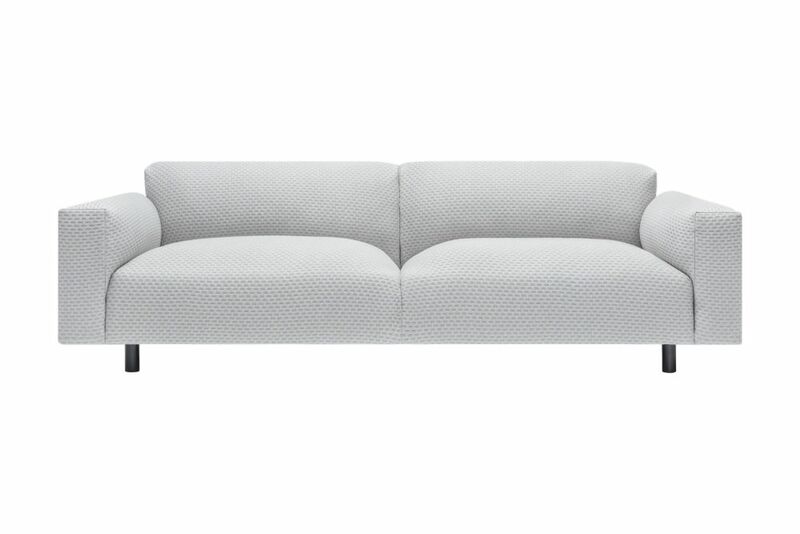 Taking its name from the Finnish word “home” the Koti sofa is available in two versions: The casual and contemporary stonewashed cotton in a soft colour selection, and the Dash textile, a luxurious three-dimensional knit of virgin wool blend specially developed in collaboration with the Dutch company Febrik, giving an extra layer of comfort and tactility. Form Us With Love is a Stockholm based design studio. For almost ten years, the internationally acclaimed FUWL has put dialogue and relevance at its core, using strategic design to build and sustain brands of tomorrow. The studio is closely integrated with the industry, on site, through audits, workshops and quality control – striving to balance opposing values and challenge the conventional.